This book presents computer programming as a key method for solving mathematical problems using MATLAB and Octave. It is intended for novice programmers and engineers. Each treated concept is illustrated and explained in detail by means of working examples. This book unpacks Mathematica for programmers, building insights into programming style via real world syntax, real world examples, and extensive parallels to other languages. Starting from first principles, this book covers all of the foundational material needed to develop a clear understanding of the Mathematica® language, with a practical emphasis on solving problems. This is a book about prime numbers, congruences, secret messages, and elliptic curves that you can read cover to cover. Many numerical examples are given throughout the book using the Sage mathematical software. This book presents a collection of MATLAB-based chapters of various engineering background. Instead of giving exhausting amount of technical details, authors were rather advised to explain relations of their problems to actual MATLAB concepts. This book is a collection of diverse applications of MATLAB. Each chapter presents a novel application and use of MATLAB for a specific result. This is is a supplement in discrete mathematics to concentrate on the computational aspects of the computer algebra system Maple. Detailed instructions for the use of Maple are included in an introductory chapter and in each subsequent chapter. Learn the essential skills needed to use the flexible MATLAB system. You will be able to apply the highly modular system towards the purposes you need by harnessing the power of its different toolboxes. 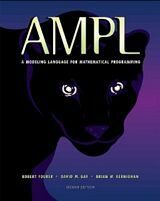 This book provides an excellent initiation into programming in MATLAB while serving as a teaser for more advanced topics. It provides a structured entry into MATLAB programming through well designed exercises. This is the 1st book in a three-volume series deploying MATLAB-based applications in almost every branch of science. This volume covers topics from different areas of engineering, signal and image processing based on the MATLAB environment. This is the 2nd book in a three-volume series. This volumehe covers topics electronic engineering and computer science, MATLAB/SIMULINK as a tool for engineering applications, and telecommunication and communication systems. This is the 3rd book in a three-volume series. This volume consists of mathematical methods in the applied sciences by using MATLAB, MATLAB applications of general interest, and MATLAB for educational purposes. This book is for both students and engineers with wide range of applications in which MATLAB is the working framework, shows that it is a powerful, comprehensive and easy-to-use environment for performing technical computations. The book presents several approaches in the key areas of practice for which the MATLAB software package was used. This book presents research works using MATLAB tools, including techniques for programming and developing GUI, dynamic systems, electric machines, signal and image processing, power electronics, mixed signal circuits, genetic programming, etc. The book illustrates a wide range of areas where MATLAB tools are applied, including mathematics, physics, chemistry, mechanical engineering, biological and medical sciences, communication and control systems, digital signal, etc. The purpose of this book is to present 10 scientific and engineering works whose numerical and graphical analysis were all constructed using the power of MATLAB tools. This book will provide the reader with an understanding of biological signals and digital signal analysis techniques such as conditioning, filtering, classification and statistical validation for solving practical biological signal analysis problems using MATLAB. This book goes from simple or distributed control software to modeling done in LabVIEW to very specific applications to usage in the educational environment. The book gives the reader a technical introduction to AXIOM, interacts with the system's tutorial, accesses algorithms newly developed by the symbolic computation community, and presents advanced programming and problem solving techniques. This book provides conceptual information about SAS software along with step-by-step examples that illustrate the concepts. It answers every question that a new or intermediate SAS® user might have. Examples are thorough, readable, and clear. This is the previous page of Mathematical and Computational Software, MATLAB, etc., we are in the processing to convert all the books there to the new page. Please check this page daily!! !